***Taylored Expressions is celebrating Release Week with some fabulous giveaways! Visit the TE Blog each Sneak Peek Day this week for details on how you can enter to win. Also, All of the new products will be available for purchase on Thursday, March 6th at 7 am PST. You'll find it all in the New Department at the Taylored Expressions Store. Love how these turned out!! My BG's, leaves and flowers were created with We R Memeory Keepers Chalkboard 6x6 collection,TE's Flower Box Sprigs and Flowers Dies, & TE's Shade Tree Cutting Plate. My Shade Tree bases were created with Doodlebug's Happy Harvest 6x6 collection for the wood grain, and my Shade Tree Sentiments were stamped with Colorbox Frost White ink and embossed with White EP. Love, love, love the font on the new Scripture sentiment set!! OH What gorgeous cards! I just love the flower pot and flowers. 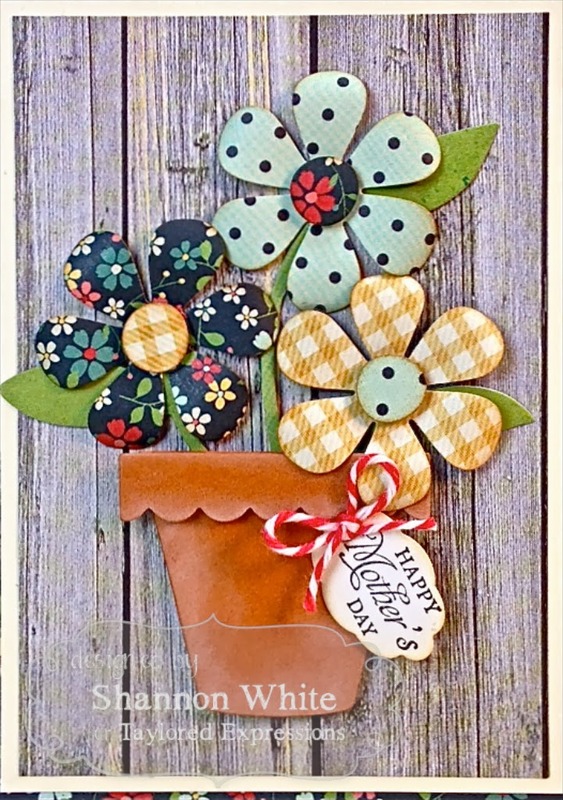 Love the design paper you used for the flowers and how you mix matched the centers. I love the flower pot - love the papers you used. And the shade tree cards are gorgeous! These are absolutely fabulous! 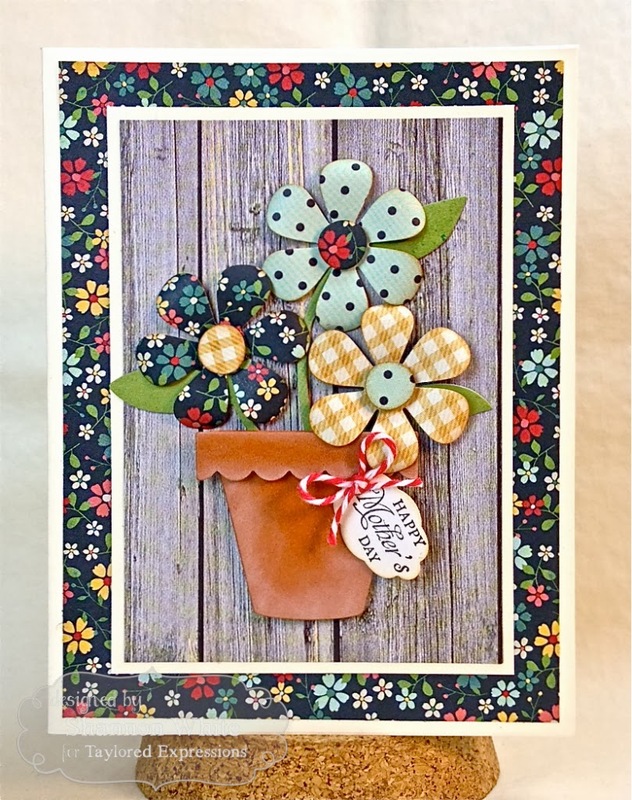 I love the patterns you used on your first card ~ so pretty! And the little flowers on your tree ~ awesome! Your cards are a delight!! Super sweet Mother's day card, Shannon! Ohh, what a pretty flowers and that terra flower pot looks soo real!! 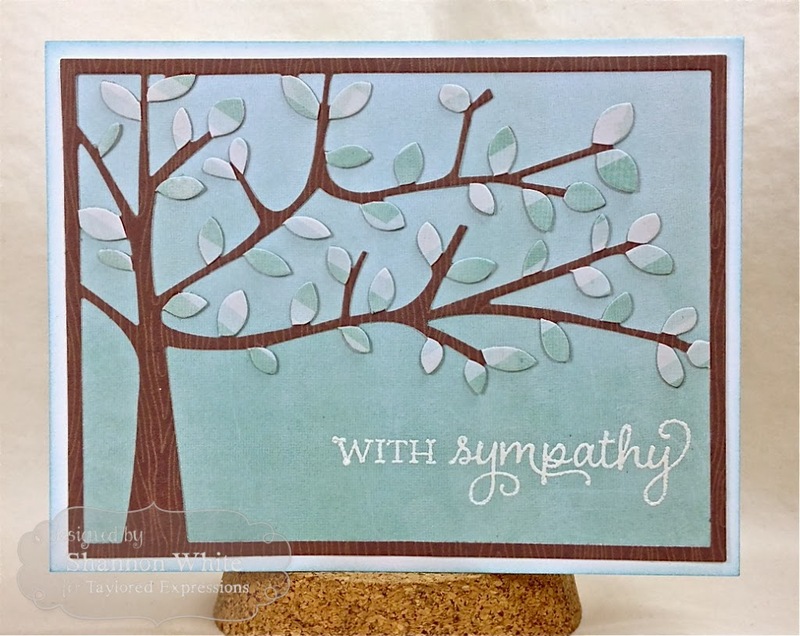 The sentiments on your pretty tree cards are so elegant! Beautiful! I'm totally in love with those flowers and their cute centers! Love, love, love! Did I mention I love them? Also the tree is completely fabulous! I can see so many wonderful cards coming from that. Your designer paper leaves and flowers are sweet! Very pretty cards. All of them are just delightful. Thanks for sharing. Everything is darling! Your shade tree cards are so soft anf soothing. I especially love your flower pot and those awesome patterned flowers! I must try that! I just love the papers you used for the flowers, Shannon, and the flower pot looks real...you did an awesome job with the shading!!!!! 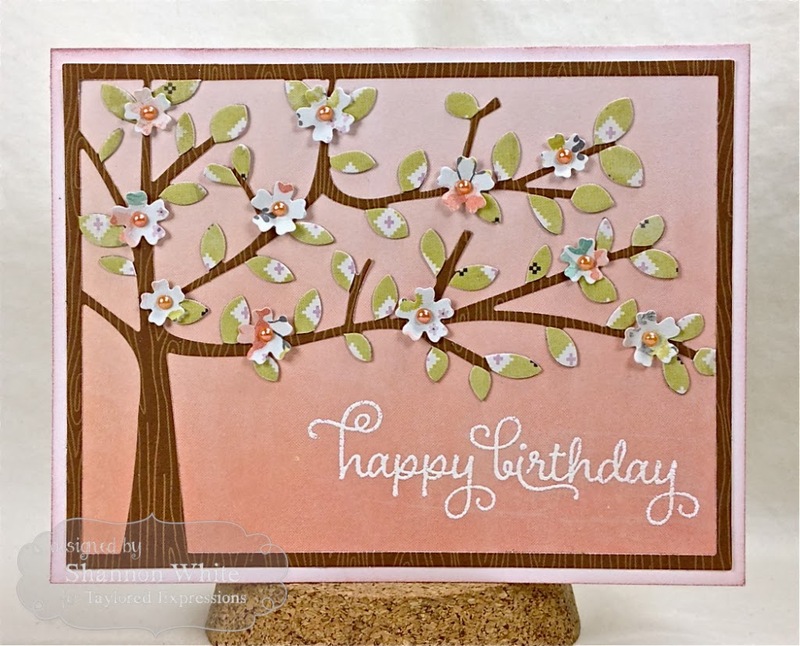 Love your beautiful Shade tree cards, too...such soft, pretty colors and papers!!!! I first saw your pot of flowers and thought that is really adorably sweet. Continued to scroll and OMG your trees are gorgeous!